SKU: BVD10. Categories: Pipe & Drape, Velour Drape 10" High. 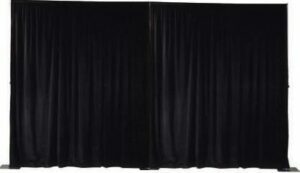 Black Velour drape is great for fashion shows, screens, magic shows or anywhere block out is needed.